A conservatory gives your home many things, including, above all, value, elegance and some much-needed extra room. You’ll also be bringing the outdoors inside as you create your own unique space. Thanks to today’s technology and insulation, modern conservatories are designed for year-round use, keeping you snug in winter and cool during the warmer months. Britestyle’s models are built to last on firm foundations, and designed to be long-lasting and energy-efficient. They’re also tailored to suit your home, whatever style of structure you have in mind. 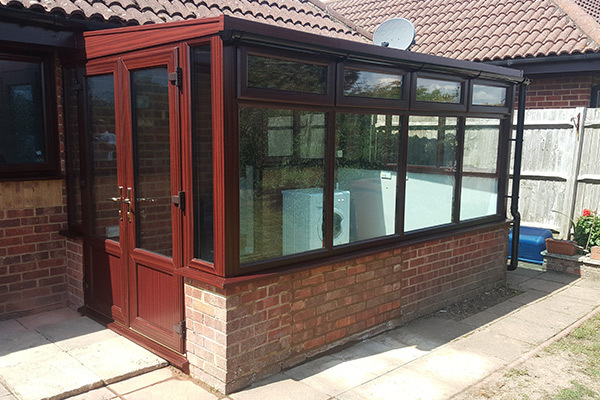 Choose from a range of top-notch materials, different finishes and some classic conservatory styles that never go out of fashion. 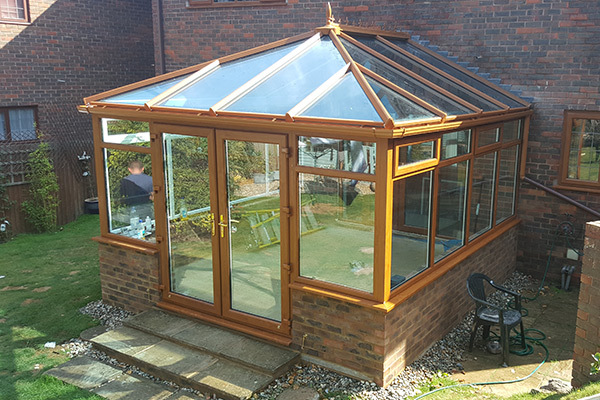 Additionally, all our high-quality conservatories are fully guaranteed for 10 years for both parts and labour, and we’re covered by comprehensive insurance for extra peace of mind. Let us take care of everything, from the initial consultation through to advice on location, design, no-fuss installation and outstanding after-care. At the same time, we’ll make sure planning permission is applied for successfully on the first application if required. Equally, we’ll ensure building regulations compliance. Look forward to a great customer service from the local home improvements company that’s right up your street. And because we’ll keep you fully informed about everything from start to finish, you’ll always feel in control of the whole process. 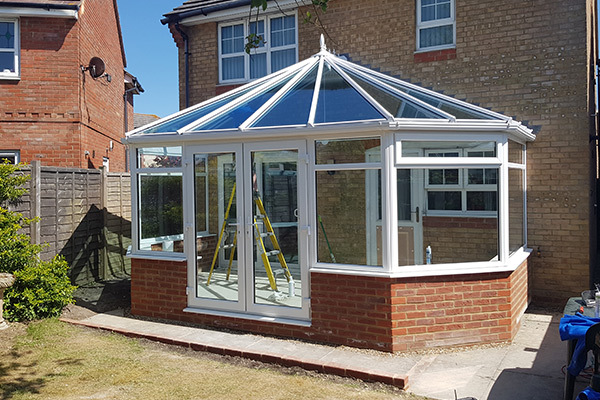 Talk to us today and start to make your dream conservatory a reality, whether you’re replacing a structure or starting from scratch. This includes a bay front and a roof that’s steeply pitched, plus ornate ridge detailing. And, despite the historic name, modern materials such as uPVC and aluminium can be used in these structures. Choose from a three-facet Victorian with a bay front with three main windows at wide angles, or the five-facet conservatory. Also known as the Georgian style, this features a flat front with a rectangular or square symmetrical shape. That makes the layout of plants and furniture very straightforward – and space is used super-efficiently. Generally the roof is high and sloping, allowing the conservatory to flood with natural light. With this style, the front of the roof doesn’t slope back to the centre. Instead, the front of the structure remains upright, like the end of a house. As with the Georgian conservatory, the shape is rectangular or square, and you can use space efficiently. 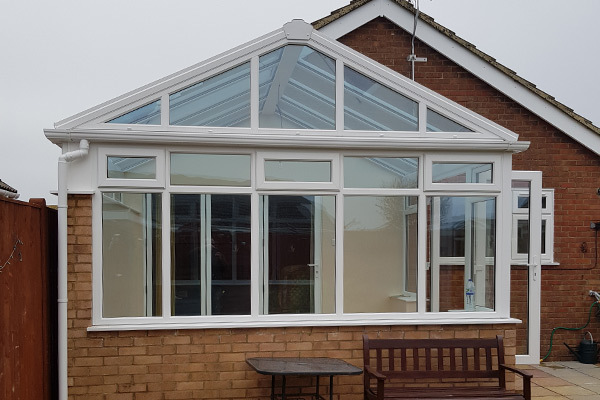 This very simple conservatory style incorporates clean, understated lines which lend it a modern appearance, making it a popular model with contemporary properties. It’s ideal for homes with limited space below the eaves, such as a bungalow, and has the feel of a Mediterranean sunroom. Again, your extension will be flooded with plenty of natural light.